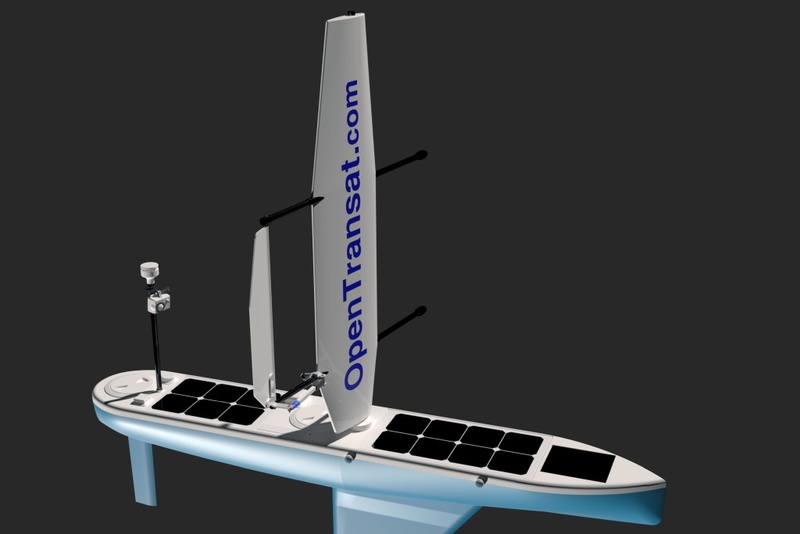 Microtransat Challenge accepted. A journal of building a boat that pursues to cross the Atlantic Ocean. The first transatlantic attempt commenced on September 12, 2016. It was launched from a fishing boat close to Renews Harbour in Newfoundland. Well, as things like this rarely work on the first attempt, the boat most likely won't be able to cross the Atlantic just yet, but nevertheless, a lot of new things were learned during this exciting journey. The boat started off as a hobby project, and it has been made from off-the-shelf parts in less than 6 months by a single maker. Cheap, but durable materials have been chosen in order to withstand the oceans extremely harsh conditions. The focus was on keeping it both simple and robust. The boat design is not optimized for speed, but it's rather an experimental platform that can be easily modified to test what really works before proceeding to the next design. A hacked action camera records a 15-second Full HD video every 30 minutes. Let's see how the boat fights wild ocean waves and storms... and other interesting things which are caught on the camera! It's open-source on GitHub! All additional details will be published on this website as soon as we make radical hardware improvements based on the experience with the current transatlantic attempt. Not just the code, design and schematics, but also detailed articles revealing the actual build process including different approaches that have been tried and tested. If you need to reliably waterproof electronics for your own project, here you will find out how. Any feedback will always be greatly appreciated! The main power source consists of four LiFePo4 36Ah cells charged by the 100W solar panel. The electronics are protected by steel boxes and sealed in a Pelican case. When the batteries are fully charged, the boat can run for about four days without any sunlight. The boat reports its position and other interesting data through the Iridium satellite network, using a RockBlock module. It reports humidity inside the waterproof housing, water temperature, air temperature, wind speed, etc. One of the additional SPOT trackers is independently powered by two 50mA solar panels. The other one has its own battery source. As long as one of the trackers works, we still know where the boat is. The sail is made from the same material as parachutes or tents. It is reinforced by nylon webbing. The mast is made from carbon fiber tubes. The surfboard won't break because it is reinforced by AlMg3 sheet screwed at the bottom. All components on top of the surfboard are attached through the sheet and all holes through the surfboard have been waterproofed. The main framework is built from aluminum profiles which are joined together by marine-grade screws and separated by nylon washers to prevent galvanic corrosion. All materials have been chosen because of their ability to survive for many years in salt water. The boat was disassembled and shipped to Newfoundland in several packages via different mail services. It was also carried on a car roof rack for testing. Crossing the Atlantic Ocean autonomously is hard, but it's a lot of fun! Let's take the journey together.